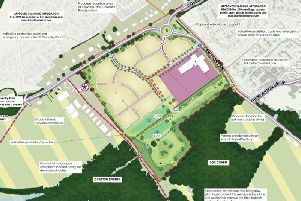 “A year ago Rugby Borough Council was preparing the town and the borough to make the most of the Rugby World Cup, while work was also progressing well on the redevelopment of the Elliott’s Field shopping park. With our partners, we wanted to present a warm, vibrant welcome to national and international visitors to the Proud Home and birthplace of the game, while also making sure that our residents and businesses had plenty of opportunities to get involved, and to reap the economic benefits. Over the Rugby World Cup period we welcomed around 40,000 people to the Fanzone, and there were many more visitors during the tournament. Many of our businesses have reported successful trading, with some saying that this was the best trading period ever. We will know more about the economic impact of the tournament in the New Year. I was at the Fanzone for numerous events and was thrilled that many visitors took the trouble to let me know how much they enjoyed the Fanzone and the Enjoy Rugby cultural festival. With the Elliott’s Field shopping park now open Rugby is in a much better position to retain its spending within the borough, which will benefit all of us. Our focus must however remain on the town centre, where we have seen a number of new shops opening recently, to help it to adapt to our changing shopping and leisure habits. I’ve spent the last year speaking to businesses and residents and we’ve seen some big changes and events that we will benefit from for some time yet. In 2016 we will be working on our local plan and town centre strategy and with these in place, I have no doubt that Rugby will continue to be a great place to live, to work and to visit, through 2016 and beyond.